Blackjack is the no.1 casino game in the world and, if played by the standard rules, it boasts one of the lowest house edges, giving us the best chance of winning. Our team is here to provide you with everything you need to know about the game of 21: the basic, intermediate and advanced strategies associated with maximising your chances of victory. Blackjack.com.au was founded by a group of gambling enthusiasts and journalists who are passionate about all things 21 and the various offshoots associated with our favourite game. It is our goal to provide you with an easy-to-access blackjack portal which allows you to make informed and intelligent decisions, based on facts, rather than luck. Blackjack.com.au takes great pride in being the authority voice on all things 21. This means we have many strategy guides, whether it be on if insurance is a smart bet, or what to do when a dealer has a certain up card. We deal in facts rather than gut feelings. You can read plenty more about blackjack strategy, including 100s of different articles detailing the best and worst gameplay. Playing online blackjack has become a very popular past time, but with it have come some angst, with many governments around the globe cracking down on offshore casinos offering their citizens services. While Australia has strict laws canvassing online gambling many of the surrounding countries like New Zealand, Fiji and Papua New Guinea still allow their residents to gamble legally online. If you are legally able to play online blackjack there will be a table at the top of this page, which is geo-targeted for you convenience. You can also access reviews of each casino and other information in the table. The online blackjack arena is more than just a virtual substitute: it’s a growing, viable platform and has a significant amount of advantages over its land-based counterparts. The technology behind such software is constantly evolving and becoming more sophisticated; there is increased accessibility and convenience of play in the form of mobile and tablet gaming, more variety in game types and rules and you can play live dealer, which is a crystal clear stream of someone dealing your cards. 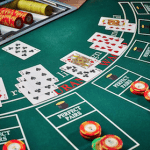 Web-based casinos have lower house edges due to the lack of overheads, and because of the many diverse variations they offer — games you would not find at land-based casinos. Ample low-stake and high-stake games are available to suit every type of gamer. Which cannot often be said about land-based casinos, with $25 the minimum per hand if you want to play standard rules at Melbourne’s Crown Casino. Online you can play for as little as 50 cents per hand. All of these advantages have closed the gap between Internet-based and land-based casinos. There’s no doubting the great energetic atmosphere, ambient music and presence of lively companions at a brick and mortar casino while playing a game of blackjack. For many people, the concept of playing the world’s most popular card game anywhere but in a grand casino is an alien one, and replacing the table, dealer and other players with a computer screen and a mouse is still something many gamblers cannot fathom. But the nature of gambling is forever changing – and fast, too. We see this with sports betting, and are seeing it more and more with the hundreds of available and secure Internet casinos. If you’re keen to get started at one, you’ll want to open an account with the best and safest gambling sites, and we are here to assist you in finding the ones which suits your personal preferences. 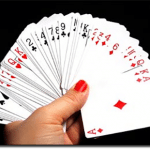 Check out our in-depth feature about online blackjack advantages, too. Playing games on your mobile device is a popular way for people to gamble on the go. Software companies have seized the moment and have pumped millions of dollars into the development of real money blackjack games for mobile iGaming. It is amazing how quickly the mobile platform has developed, from its humble origins when a few real money slots were rolled out by Microgaming less than 10 years ago, to the industry it has become. Most of the world boast regulated markets and license casinos in their own jurisdictions, meaning businesses are pumping legitimate money into developing really cool features for online casinos, including mobile. The latest in mobile blackjack play has been the emergence of live dealer with various software companies seeing the growing opportunities on offer in this space. While the streaming can lag on a 4G connection, the newer Android and iOS devices (that we use) 4G connections are sufficient to enjoy live dealer blackjack (roulette and baccarat) from your smartphone or tablet. Many of us still like the authenticity of being dealt cards by live croupiers, which is why we will take the time to journey to a land-baed casino. It’s one of the pitfalls of gambling on the Internet that it lacks a social element, but this facet is constantly improving. Game developers are constantly developing new ways to make it more interactive; it started with a basic live video feed of your blackjack dealer throwing the cards down on a table. Now you can interact with the dealer and other players, you can play side games in between hands and most importantly you can feel wanted. Just like at a land-based casino there are high standard associated with these ‘live dealer hubs’ which are enforced by independent auditors and implemented by pit bosses. Free roll tourneys: No cost to enter, simply join in and have fun. Buy-in tourneys: Buy a virtual seat (usually higher in stakes) and compete until one player remains. Sit & Go tourneys: You start when enough players join the table and can hop up and leave at any time. Pre-set tourneys: Scheduled tournaments starting at specific times. Playing online one of the most important things is the ability to fund your account. How you go aboutdepositing at online casinos will largely come down to where you are based in the world. For instance in regulated markets like the United Kingdom credit cards are the most common method, but in places like the USA you might have to try a little harder to deposit. Blackjack has the distinction of being a part of several unique historic moments, such as being the first major card game, brought along with French colonists to North America in the 17th century, to explode in popularity; igniting the staying power of the first taboo Nevada casinos in the 1930s, and driving the advancement of basic strategy, mathematical probability for card games in the early 1950s and subsequent computer software that spawned from the research – all from a game with a goal of 21. Blackjack is our favourite casino card game for a number of reasons. Other than its rich history, it’s a game that is easy to play and always engaging to learn more of. Strategies and tactics are key to success – not just pure luck – and it’s always more exciting to win when your own skill is put to the test. We’re passionate about the game of 21 and that’s why we’re the one-stop authority and information nexus on all of your blackjack inquiries – we know what we’re talking about and we love talking about it.